On Sunday, 6-year-old Jordan Warrick was eagerly waiting his turn to get baptized at the West End Baptist Church in Louisville, Kentucky when he decided that the pastor was taking way too long. 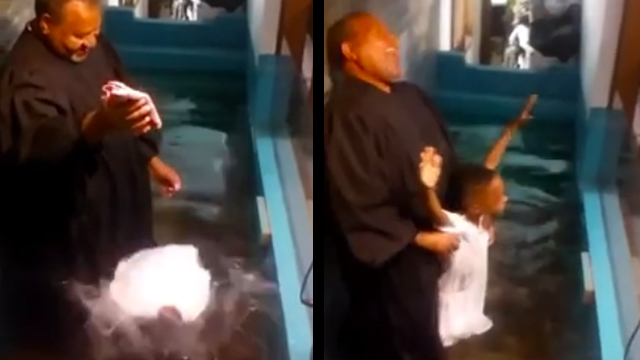 So Jordan decided to go ahead and baptize himself. His parents, pastor and the entire congregation were very entertained and delighted. The video has gone absolutely viral on Facebook getting hundreds of thousands of shares and millions of views in just one day.